Libby Averyt, United Way Chief Development Officer, along with IBC Bank's Robert Charles, senior vice president, Diana Contreras, first vice president and Harold Shockley, Jr., president and CEO. Libby Averyt, United Way Chief Development Officer, presented the Rising Star award to Harold Shockley, Jr., IBC Bank-Corpus Christi president and CEO. IBC Bank's Robert Charles, senior vice president, and Diana Contreras, first vice president, were also presented with a Pacesetter Award for 2016. 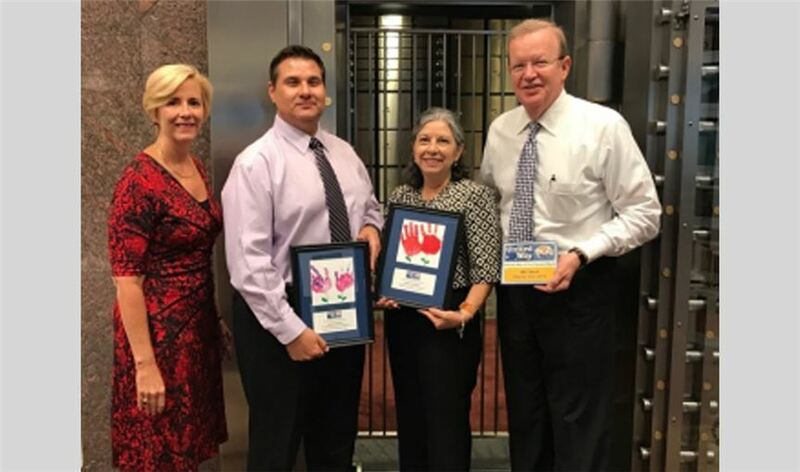 Employee Campaign Leaders helped raise more than $4,000 for the Coastal Bend United Way organizations. As part of the United Way team, Employee Campaign Leaders plan and execute workplace campaigns, raising much-needed dollars to change lives and strengthen our community.